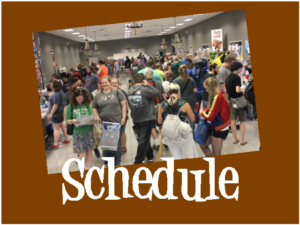 The 10th annual Burg Comics Con will take place on Saturday August 31, 2019 from 10 AM to 5 PM at the Bonan Business Center in Harrisburg, IL. Please start passing the word along to your friends and encourage them to become a fan of our page on Facebook to keep up with the latest news. Admission to the convention is FREE, but we are requesting a charitable donation to the Saline County 4Cs. 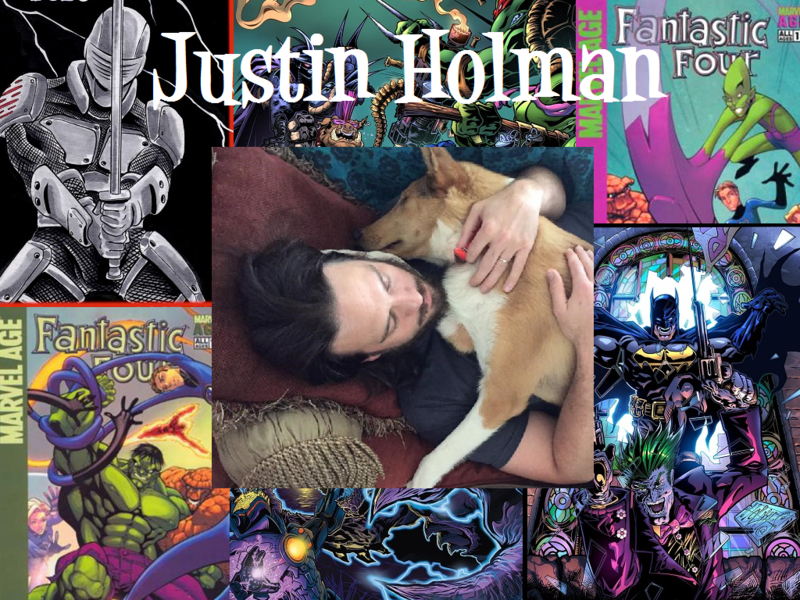 As additional details become available, they will be posted here and on the Burg Comics Facebook page. 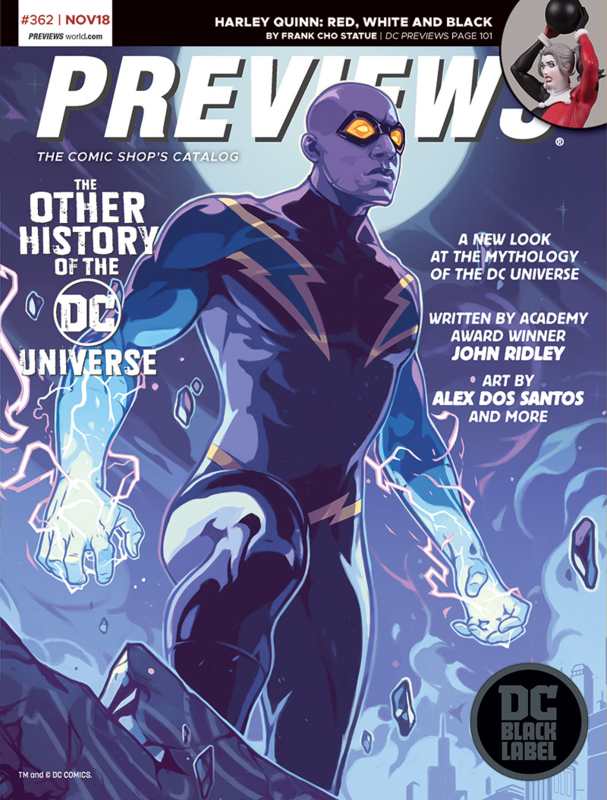 Here are my recommendations from the January 2019 Previews Catalogs for #comics and other items generally shipping in March of 2019. As always, if there are #comics you think I should be recommending, let me know in the comments. If you are a podcast listener, check out the podcast Campus Comics Cast where we discuss Previews each month. 3 – Batman: Damned #3. The final issue of the initially controversial series is solicited for a 3/27/2019 release. I personally was not too fond of issue #1, but the completist will want to be sure they get the final issue. 4 – Detective Comics #1000. Detective joins Action with its 1000th issue. Lots of variant covers and apparently multiple stories in this issue. Looks like we will have at least 11 different covers for this issue. I actually prefer these covers to the Action 1000 decade covers. 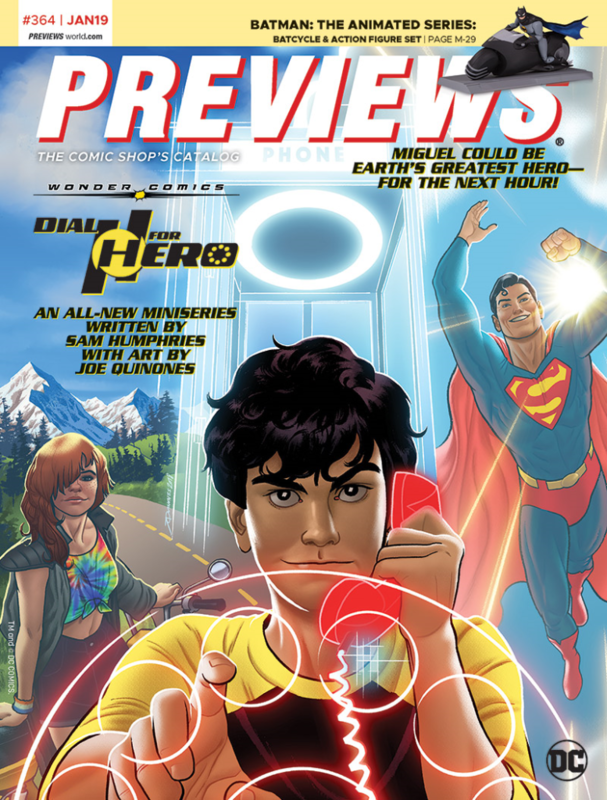 8 – Dial H for Hero #1. The last of the initially advertised Wonder Comics imprint makes its debut. 11 – Teen Titans #28. Part one of the previously mentioned “the Terminus Agenda” crossover with Deathstroke. No information on how long or how many issues the crossover will last. Previously, these crossovers from DC were spanning one month with an alpha and omega issue. 12 – Second Coming #1. Not sure what to think of this book. Marketed from the Vertigo imprint and for Mature Readers, this book teams up Jesus the Christ with a Superman analog , Sun-Man. I hope they use this for a valid moral tale. 18 – Batman #66-67. Batman is still probably the best book from DC each month. 24 – Doomsday Clock #10. I am a couple of issues behind on my reading, but this has been a really good book. I am excited to see the conclusion in a few months. 31 – Green Arrow #50. The final issue of this Green Arrow run ties into Heroes in Crisis. 38 – Justice League #19-20. Mr. Mxyzptlk takes on the Justice League with Scott Snyder on writing duty. In issue 20, the Justice League battle future versions of themselves in the 6th Dimension. 71 – The Kamandi Challenge TPB. I was a little disappointed in this series, but if you would like to see 14 different writers and artists take on the Jack Kirby creation, here is your chance to pick it up in softcover. And the “King” himself makes an appearance as well. 72 – Kingdom Come TPB. If you have not read this story about the “future” of the DC Comics, pick up this new printing of the trade by Mark Waid. 10 – Age of Conan: Belit. It looks like Marvel is going to milk the Conan license for every penny they can. This is the 3rd title for the Conan universe in as many months. I have not read a lot of Conan, but apparently Belit was from the original run of the series. 16 – Avengers: No Road Home #6-7. “It had to happen! Conan collides with the Marvel Universe.” Actually, no it didn’t, but Marvel does it any way. We get the Scarlet Witch in the Age of Conan. Again, lets bleed the license for all we can. 19 – Marvel Tales: Thor #1. $8 for 3 books that should be printed as $1 True Believers. 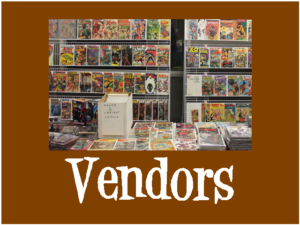 I will be passing, but if you want to own the first appearance of Loki, Valkyrie, and Beta Ray Bill in one comic, here is your chance. 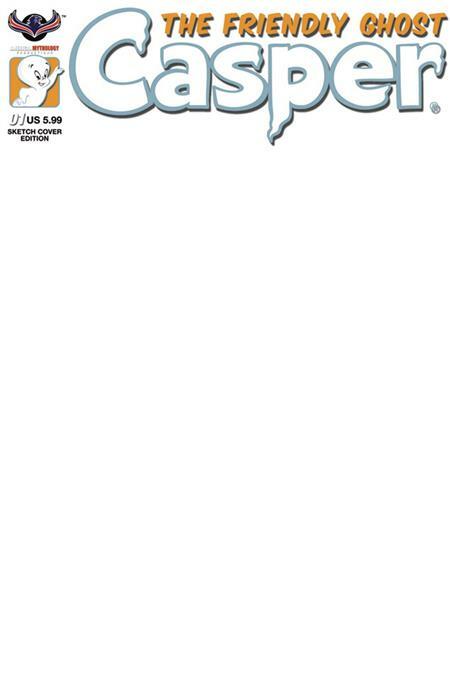 complete history of Spider-Man from beginning to end, set against key events of the past 57 years. 36 – Captain America #9. Cap’s my favorite character, so I will probably plug this book every time. I am a few issues behind, but looking forward to catching up. 42 – Incredible Hulk #181 Facsimile Edition. I am not a fan of these exact reprints of older books, especially books with the price point this original issue has. I hope Marvel puts something on the cover AND on each page to make it clear this is not the original issue. 44 – Tony Stark: Iron Man #10. The year 2020 approaches. Anyone who remember the limited series Machine Man 2020 and one annual of Amazing Spiderman should know what that means for Iron Man. 46 – Marvels Annotated #2. I cannot remember if I mentioned this last month, but this reprinting of the Kurt Busiek story for its 25th anniversary is something to check out if you have not read it already. 50 – Spider-Man: Far From Home Prelude #1. So, it looks like Marvel is advertising an adaptation of Spider-Man Homecoming as a prelude to the 2019 film, Spider-Man: Far From Home. If that is true, you should definitely skip this book. 104 – Silver Surfer: Parable 30th Anniversary Edition HC. $30 seems a bit high for reprinting a 2 issue limited series, but I have fond memories of this story, as there was not a lot of Silver Surfer out there when this was originally published. So, it looks like the apparel on Side One last month was not a mistake. 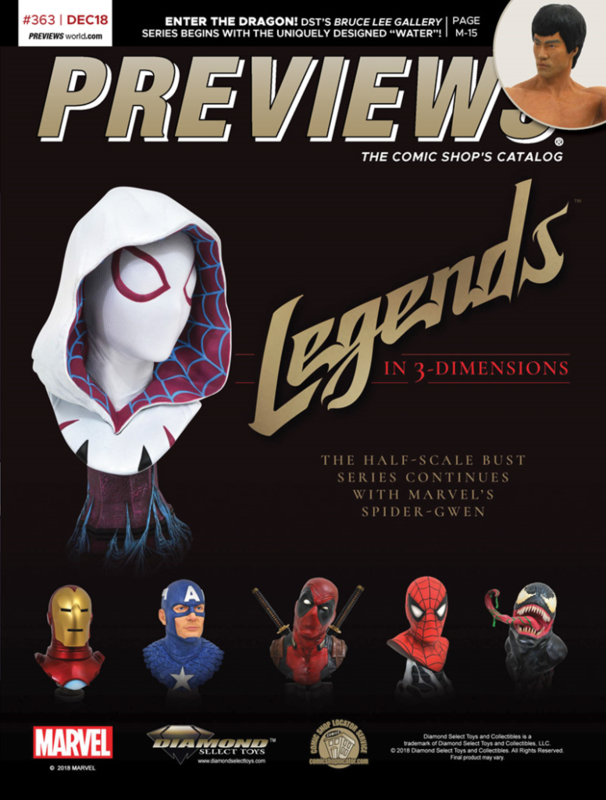 28 – Previews Catalog. Pick up your copy so you can play along at home. 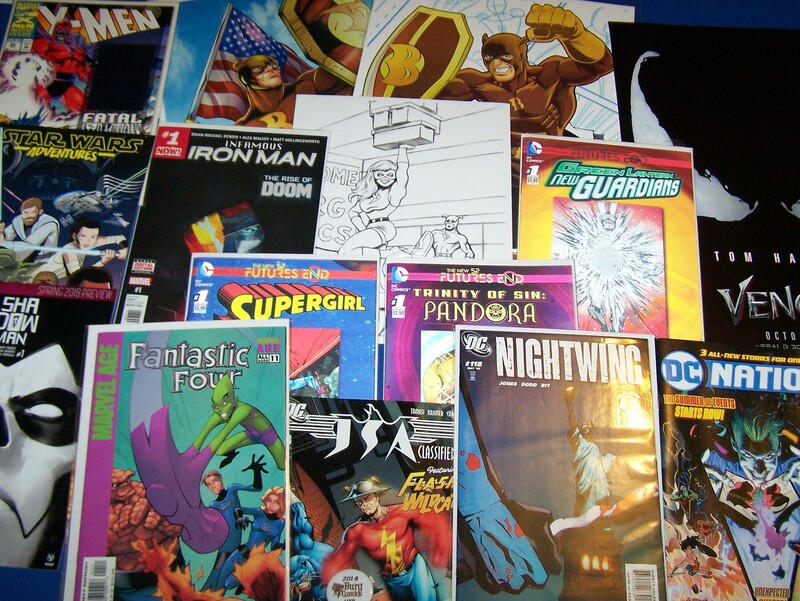 33 – Free Comic Book Day Comics. We get our first look at some of the free comics for FCBD 2019. Marvel and DC are tight-lipped about what their books will be, but it looks like we are getting a reprint of Spawn #1 from Image for the upcoming movie. 54 – Little Bird #1. A new 5 issue limited series from Image. There is a multi-page preview of this story in the book, and the art looks pretty solid. I will definitely be giving this one a shot. 70 – Infinite Dark TPB. I did read the first issue of this series recently. It is basically a murder mystery in space among the last few thousand surviving human beings. 73 – SCUD: The Disposable Assassin: The Whole Shebang! TPB. Some people have fond memories of this older indie title. Here you can get all 25 issues in one book at a very reasonable price of $35. 98 – Spawn # 295. It appears that this issue will be the kick-off to the story line that will wrap-up in issue #300 of the series. 115 – William Gibson’s Alien 3 #5. The final issue of the unused screenplay by cyberpunk author William Gibson. 116 – Mystery Science Theater 3000 #6. The Campus Comics Cast #campuscomicscast recently reviewed issue 1 of this series in our podcast episode 35. It was very good, so if you are a fan of the TV series, you should be picking this up. 178 – Superman: The Golden Age Newspaper Dailies: 1947-1949. I want to mention this book, as I had the privilege of interviewing cover art Pete Poplaski for the Campus Comics Cast #campuscomics cast. If you are interested in hearing the interview, search for Campus Comics Cast in your favorite podcast app and go to episode 26. 183 – Munchkin Teenage Mutant Ninja Turtles Deluxe. 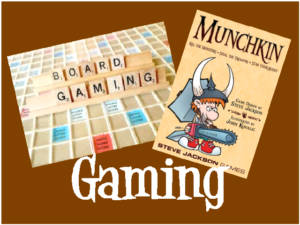 Fans of the Steve Jackson Games Munchkin line may want to pick up this version featuring TMNT. 205 – Pathfinder: Worldscape Kickstarter Exclusives. So, if they are available in Previews, are they really Kickstarter exclusives? 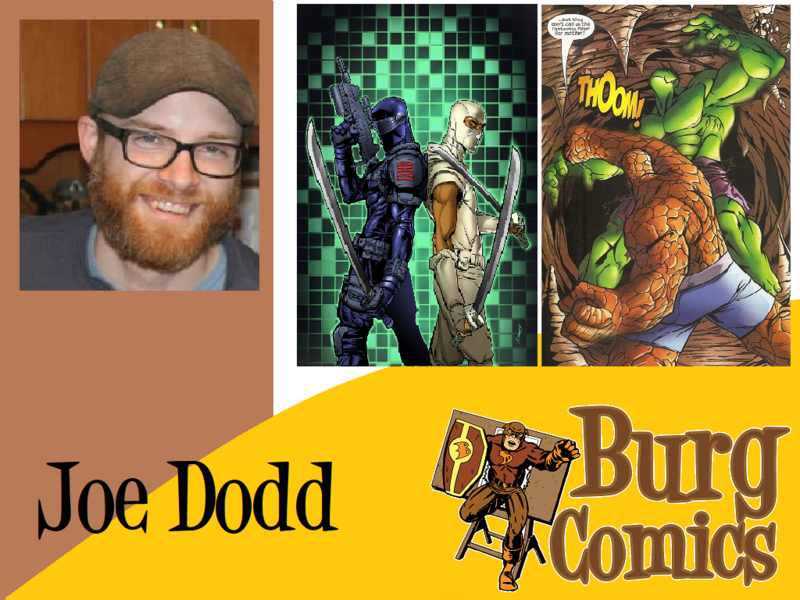 214 – Firefly: Bad Company #1. Probably a one-shot, features the origin of Saffron. 215 – Firefly Volume 1. The recent Boom! series collected in hardcover. 216 – Ronin Island #1. A 5 issue limited series about an alternate history for 19th century Japan, Korea, and China. 369 – Doctor Who: The Thirteenth Doctor TPB. First TPB for the first female Doctor. 432 – Detective Comics T-Shirts. A couple of nice Detective Comics T-shirts, one with the original Detective #27 Batman image and another with the cover from one of the issue 1000 variants. 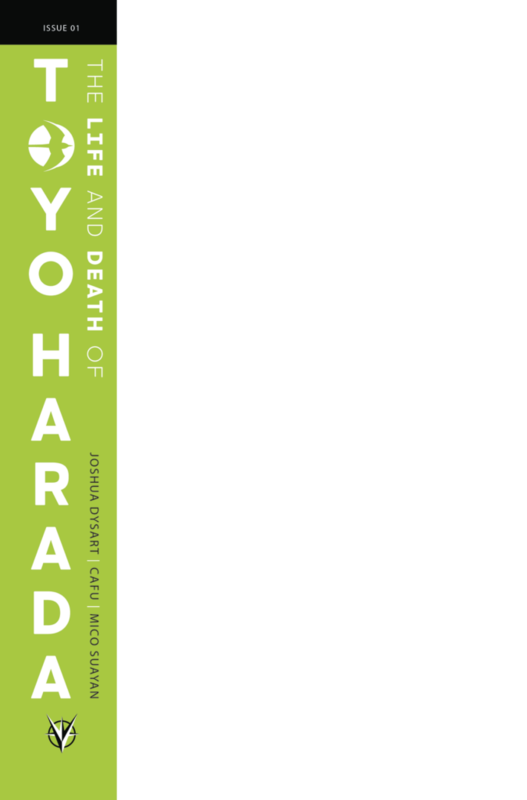 I will try update the blank covers at a later date if I learn of any more. I was unfortunate enough to have seen Aquaman on December 15, 2018 as part of the Amazon Prime/Atom Tickets promotion. I was excited enough about the film and the promotion that I invited nine others to attend the showing with me. The show was so bad, when all was said and done, I apologized for having invited them. The first thing I want to address is the whole DC versus Marvel movies comments I have received already over not liking this film. Typically, it takes the form of “You are just a Marvel fanboy and hate anything that DC does.” For the record, this is 100% untrue. I would like to see ALL of the superhero comic-based movies succeed whether they be Marvel, DC, or Independent. While Captain America: Winter Soldier is definitely my favorite of the superhero films, I thoroughly enjoyed Man of Steel, Batman V. Superman, and Wonder Woman on the DC side of things. OK, enough about the other movies, let’s get on to the Aquaman movie review. 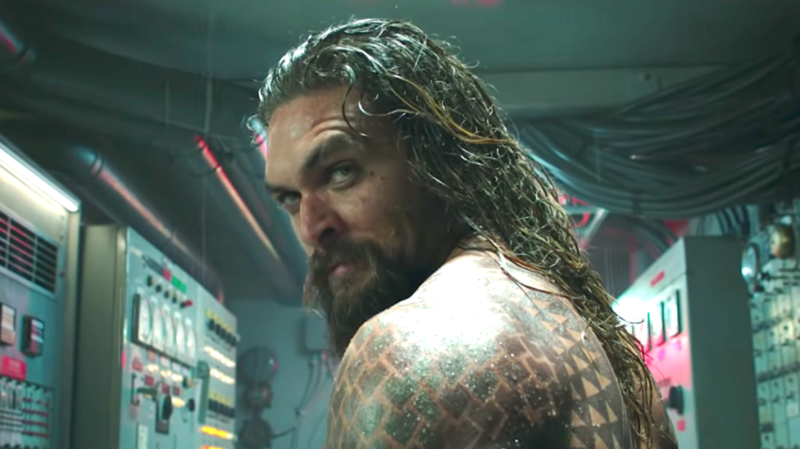 The biggest issue with Aquaman was the choice of Jason Momoa to play the role. I have not seen Momoa “act” in anything besides Game of Thrones and his two shots at Aquaman. Momoa is apparently an actor like Chris Pratt who basically plays the same character in whatever role he takes on. Aquaman is supposed to be a king, who knows he is a king, and instead, we end up with “surfer dude” Aquaman or as I like to refer to him as “Point Break” Aquaman. After watching Aquaman, I think I would have preferred they had cast Patrick Wilson who played King Orm as Aquaman instead of Momoa. The story for Aquaman was also poorly executed. The basic points to Aquaman’s origin are present, but only take up a small portion of the movie. The plot for Aquaman is basically an abbreviated version of National Treasure meets Thor: Ragnarok. 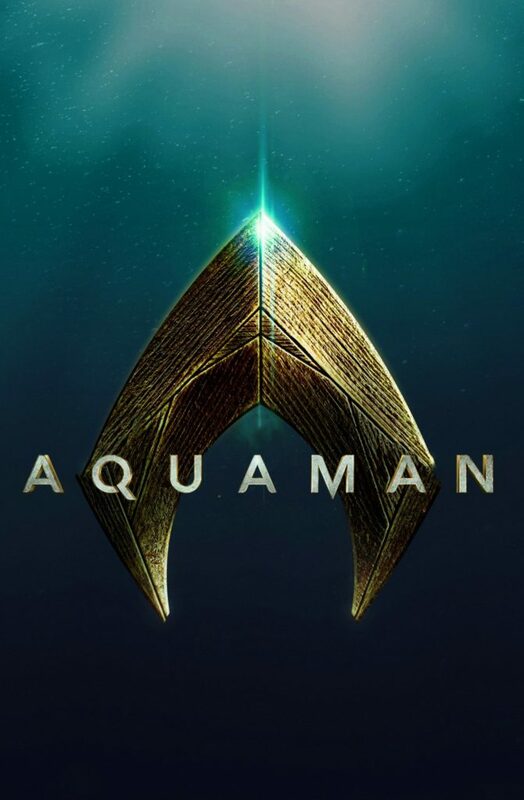 After battling King Orm in a gladiator arena (ala Thor: Ragnarok), Aquaman is finally convinced and goes on a quest to find a long-lost trident that few people believe actually exists. 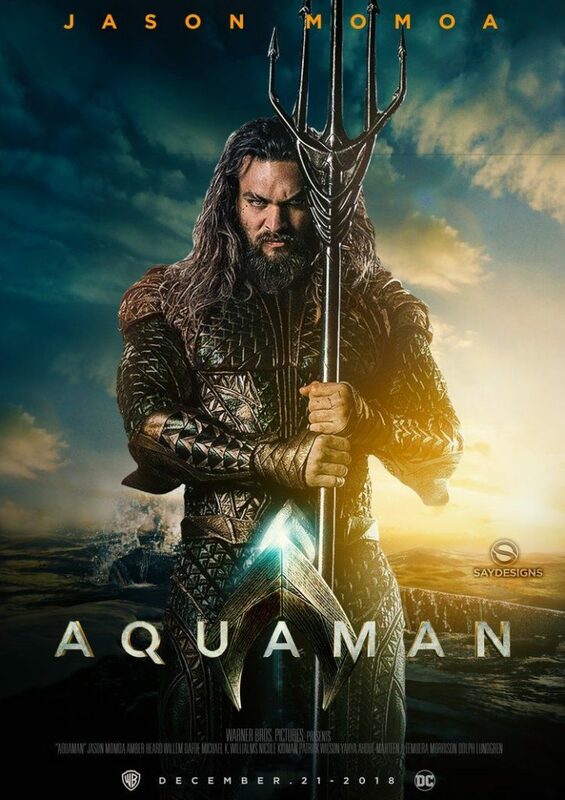 After a couple of clues leading to other clues (ala National Treasure) Aquaman finds the trident and returns to battle King Orm a second time in a gladiator style fight. Completely uninspired writing for the plot. * Aquaman’s mother Atlanna (Nicole Kidman) awakens and eats Aquaman’s father Tom Curry’s (Temuera Morrison) pet fish. * Since when does Atlantis have a bridge? I could continue with additional examples of bad jokes and puns, but quite frankly, that would require watching this train wreck of a movie again, and I would rather spend my money someplace else. Suffice it to say, I groaned at this movie more than I laughed. This movie will still probably lead the box office on opening weekend. I will be curious to see if any bad buzz from the Amazon/Atom preview weekend hurts its box office. I have seen a few reviews from some talking about how much they liked it or thought it was funny. In my opinion, anyone who actually likes #comics and/or Aquaman, should find this movie to be an embarrassment. So, to summarize, this movie is REALLY BAD. We are talking Suicide Squad level bad. The #campuscomicscast crew had originally planned to record an impromptu podcast immediately after watching the movie. This movie was so bad, none of us really wanted to even talk about it. On the comic grading scale, it would at best be a 2.0 (Good), and that might be generous. So, when Aquaman opens on the weekend of December 21, 2018 and you are itching to go see a superhero movie, do yourself a favor and go see Spiderman: Into the Spiderverse. If you have already seen Spiderman: Into the Spiderverse and still want to watch a superhero movie in theatres this weekend, do yourself a favor and go see Spiderman: Into the Spiderverse again. Just wait for Aquaman to come our on Blu-Ray, go on sale, and then pick it up. I have seen some rankings of the DC movie universe putting this movie at number 2 on the list, and I cannot disagree more. With the possible exception of Suicide Squad, this is the worst DC Universe movie yet. 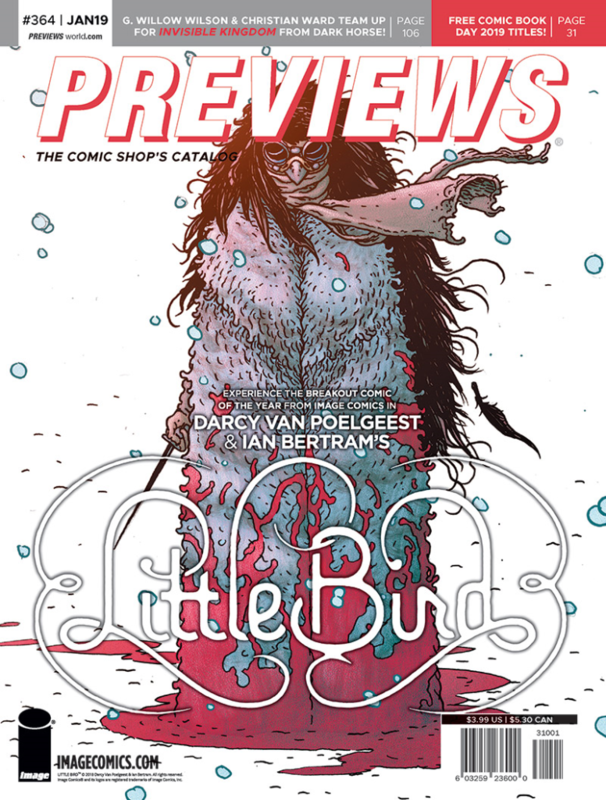 Here are my comics recommendations and thoughts on the November 2018 Previews Catalog for items generally shipping in January of 2019. In my opinion, there are a lot of screwy things going on from the big two this month. If you would like to hear additional comments on this issue of Previews, search for Campus Comics Cast on your favorite podcast app. Our episode discussing this catalog should be up by November 9, 2018. 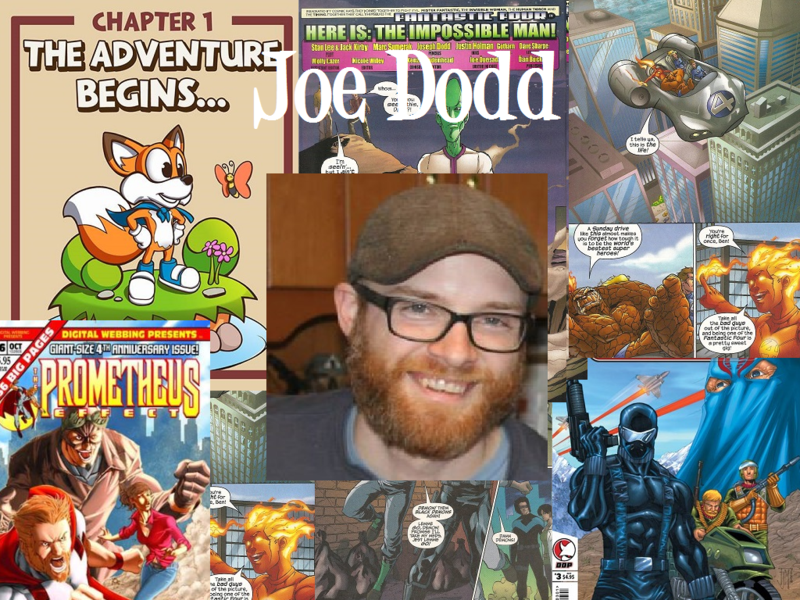 1 – Announcing the Wonder Comics imprint. This new imprint will be headed by Brian Michael Bendis and begin with four titles: Young Justice, Naomi, Wonder Twins, and Dial H for Hero. Bendis will be writing two of the titles himself and comments that the Wonder Comics will be “exceptionally well-crafted.” I feel like DC is turning over large portions of their intellectual property to Mr. Bendis. I hope he does not steer them wrong. Two of the titles, Young Justice and Naomi, both written by Bendis, solicit this month. 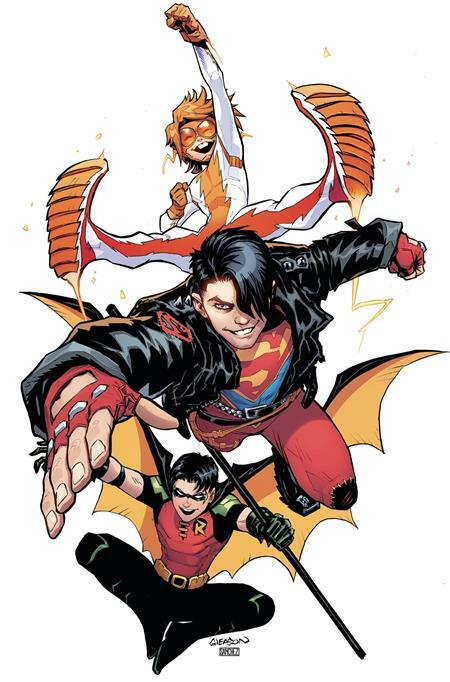 2- Young Justice 1. The first title to see print from the new Wonder Comics line. I feel like Peter David should be writing this. 3 – Naomi 1 – The first new title from the Wonder Comics line, also written by Bendis. For those who like to jump on first appearances, here is your chance. 4 – The Other History of the DC Universe 1 – DC is bringing in another non-comic writer for this DC Black Label title. This is a five issue series and based on the characters chosen, I suspect the focus is going to be on heroes dealing with racism and prejudice. When these topics have been the focus of books, the books tend to not be successful. 5 – Mysteries of Love in Space one-shot. Eight tales of romance in time for Valentine’s Day. And who doesn’t want a romance comic with Darkseid on the cover? 6 – Superman 100 Page Spectacular 1 written by Marv Wolfman. Wolfman describes this as the greatest Superman story he has ever written. 7 – Action Comics 1006 & 1007. Bendis starts his second story arc on Action Comics. 12 – Batman 62 & 63. Issue 62 has a Frank Miller variant cover. 25 – Deathstroke 39 – Christopher Priest continues the Arkham storyline for Slade. 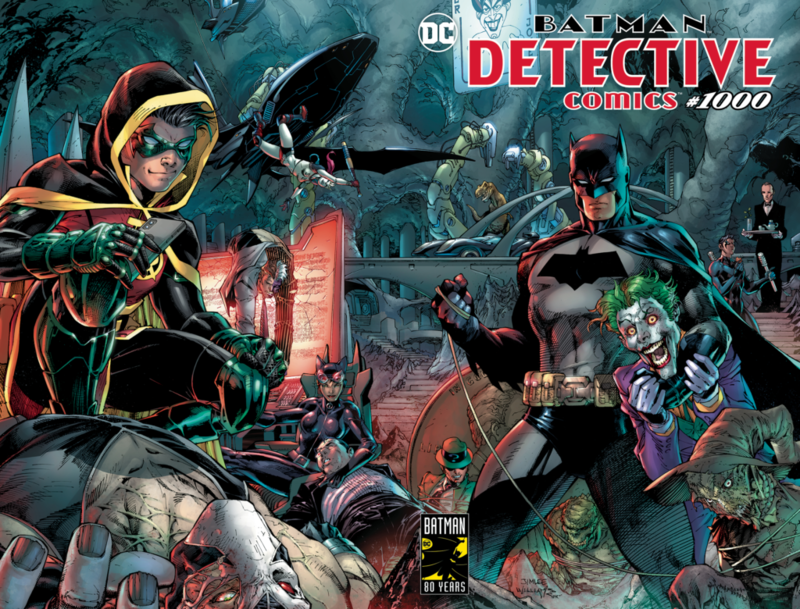 26 – Detective Comics 995 to 997. After only one issue solicited last month, DC revs Detective with 3 issues for January. 27 – Doomsday Clock 9. Looks like Dr. Manhattan will be making an official appearance in this issue. 31 – Flash Annual 2. I guess Heroes in Crisis is getting some tie-in issues. I am not aware of any other tie-in issues for the series. 39 – Heroes in Crisis 4 & 5. Series is being extended to 9 issues. I was not particularly impressed with issue 1. I feel like this story will not change anything in the DC Universe, so I may just ignore it. 80 – DC: The New Frontier by Darwyn Cooke gets a new edition and the Black Label. Nothing about the size of the book. 83 – DC Universe: The Bronze Age Omnibus by Jack Kirby. A collection of the King’s late 70s/ early 80s work at DC. 87 – Shazam! : The Monster Society of Evil gets a new edition. Jeff Smith of Bone here creates one of my favorite Captain Marvel stories. 89 – Superman volume 1 hardcover. Bendis’ first story arc on Superman collected. 90 – Superman: The Golden Age Omnibus volume 6. Issue 121 is shown as the cover. Is that issue so hard to find they had to print a copy with something written on the cover? Have they not heard of Photoshop? Marvel is focusing this month on their 80th anniversary based off the publication of Marvel Comics 1 by Timely. Feels like a bit of a cheat, but Marvel cheats on their issue numbers, so why not on where you start as well. Between this, the number of reprints they are charging a premium price for, titles they are just printing to maintain a trademark, and 3D comics, Marvel has me shaking my head. 1 – Conan 1 & 2. Conan returns to Marvel with new stories by Jason Aaron and covers by Esad Ribic. I am going to give it a shot, and I would suggest reviewing Conan on a future Campus Comics Cast. 8 – Conan reprints. Of course, issue 1 is reprinted for $1. Marvel, this is how you should handle your reprint stories. I am not super familiar with the other Conan stories, but they appear to mainly be reprints of the first issues of some popular storylines. 12 – Captain Marvel 1. New Captain Marvel book, in time for the movie. 15 – Black Widow 1. Black Widow returns from her death in Civil War II. I missed where she came back from the dead at. 16 – Friendly Neighborhood Spiderman 1 & 2. Do we really need another twice a month Spiderman comic? 18 – Invaders 1. 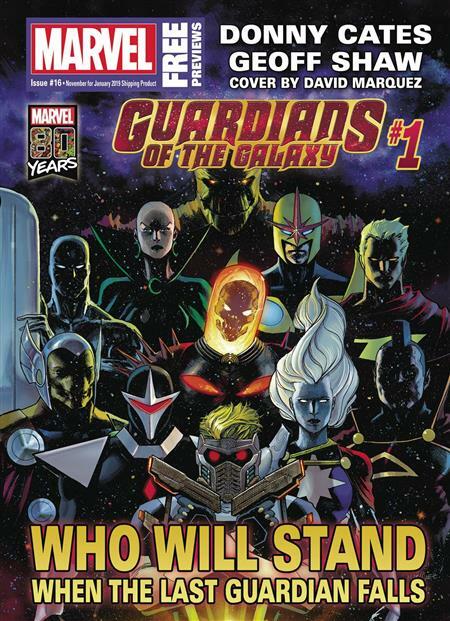 Another one story arc title from Marvel. 24 – Marvel Tales 1. Great, a reprint comic of Fantastic Four titles. Because those were selling so well you kept the title going all this time. So, it reprints 3 stories for $8. Shouldn’t they be $1 each? 25 – Man Without Fear 1 to 5. Appears to be a weekly series about Hell’s Kitchen without Daredevil. Guess I need to get caught up on DD. 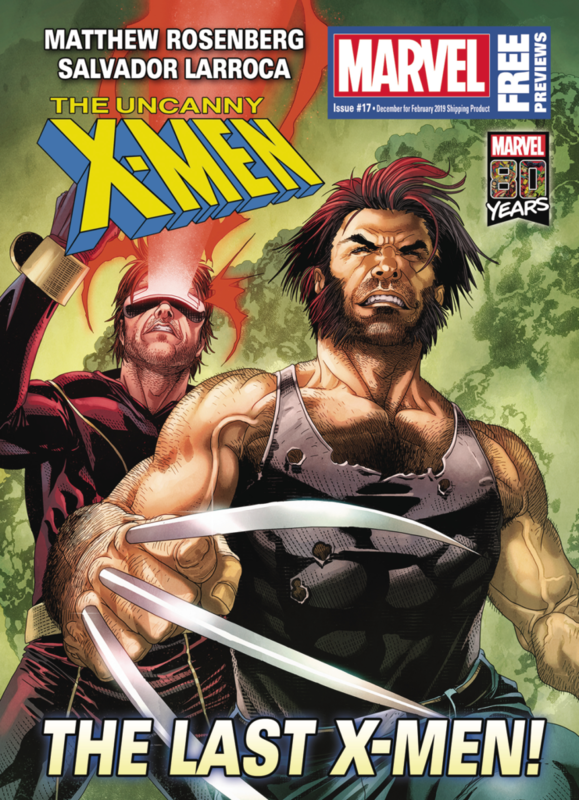 26 – Age of X-Man 1. The original X-Man series survived the Age of Apocalypse for quite some time after the story arc ended. 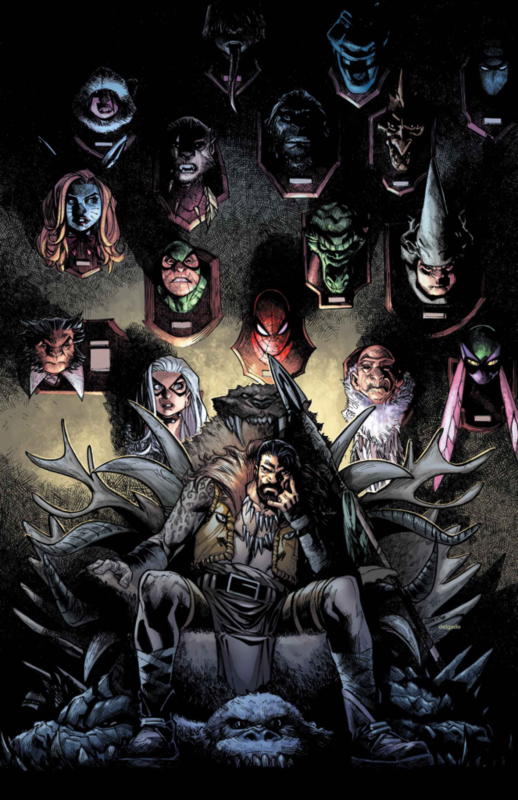 28 to 31 – Marvel releases 3 one-shot titles to apparently preserve trademark. Crypt of Shadows, Journey Into Unknown Worlds, and War is Hell. 32 – Two facsimile editions of Marvel Presents 3 and Silver Surfer 14. Reprinted with the original ads. Again, reprint book should be True Believers for $1. The ads are not worth the $3. 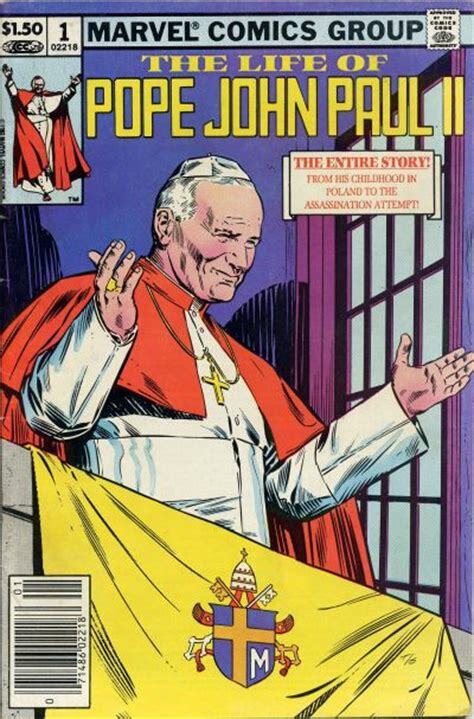 33 – Marvel Comics Presents 1 – This is the type of title EVERY publisher with multiple hero books should have. Short stories or multi-issue arcs to help keep up on the rest of the universe. 47 – Captain America 7. Ta-Nehisi Coates second story arc on Cap. Now with art by Adam Kubert. Will this title stay on schedule for this arc? 54 – Another Marvel Tales 1. This time reprinting Venom stories and costing $8. 62 – Doctor Strange hits issue 400 legacy. Mark Waid still on writing duties. 64 – The Daughters of the Dragon get their Marvel Premiere Graphic Novel. Still hoping for a Netflix series featuring these two. 76 – Uncanny X-men 3D 1. So, we not only get a reprint, but treated with 3D. The 60s, 70s, and 80s called they want their gimmick back. And for $8 you get it polybagged with 3D glasses. 88 to 89 – Star Wars Shadow Vader 1 & 2. I find it humorous they put issue 2 in the catalog BEFORE issue 1. 101 – Kirby is Fantastic! King-size hardcover. A pretty good selection of Kirby FF stories. It really should have included FF 48 to 50 as well, but we get the first Black Panther story, first Him/Adam Warlock story, and more. 108 – Captain Marvel: Monica Rambeau. Hoping to take advantage of confusion about character names, Marvel releases trade of Monica Rambeau stories. 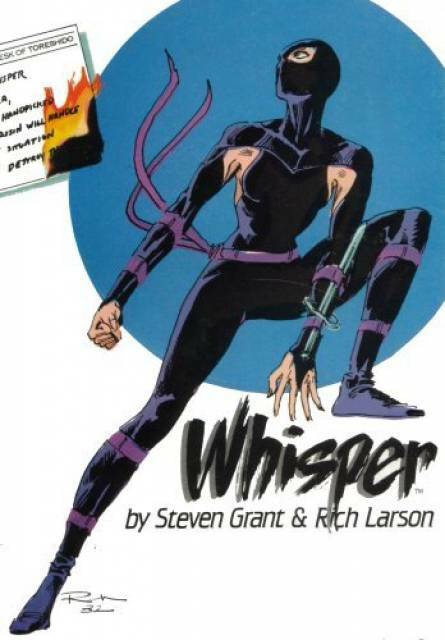 114 – Black Panther volume 6. Ta-Nehisi Coates continues his excellent run on Black Panther. 115 – Captain America volume 1. The first arc of the Coates Cap story in trade. I wish they would have chosen a better cover; I despise this image. First, Cap would not be dragging the flag on the ground, and second, his shield is way too small. 121 – Cosmic Ghost Rider trade. Collects the Cosmic Ghost Rider 5 issue limited series by Donny Cates. 122 – Punisher volume 1. I keep buying Punisher. 126 – Daredevil volume 8. 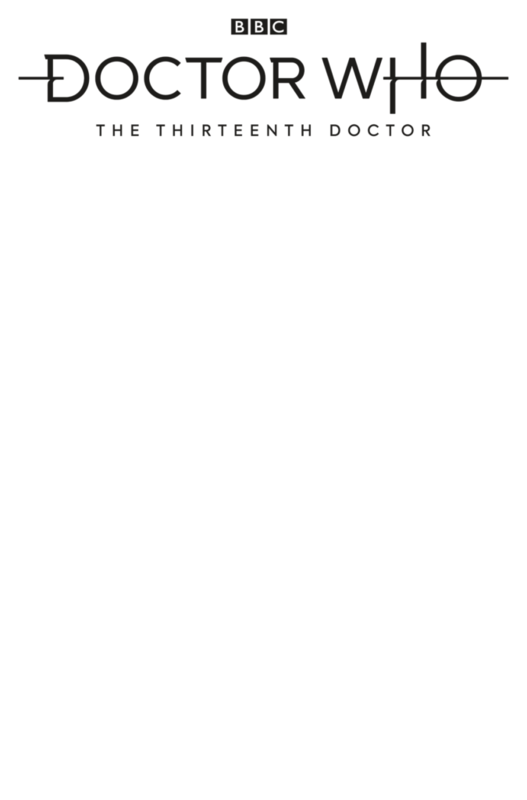 I guess this trade will explain the Man Without Fear series mentioned earlier in the catalog. 130 – Punisher War Journal trade. This reprints issues 1 to 12 of the Matt Fraction run on Punisher. Excellent Punisher stories. 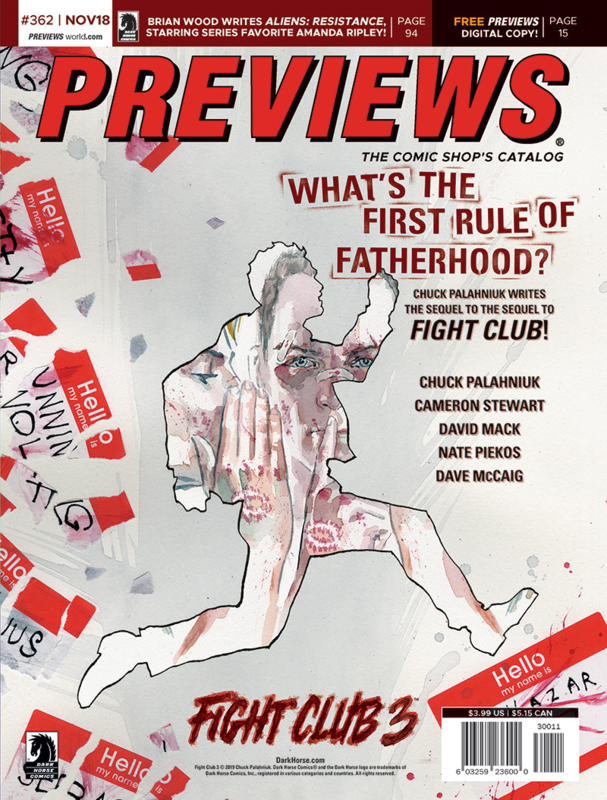 26 – Get your copy of Previews so you can play along each month. 40 – Oliver 1 (Image). Take Oliver Twist and move him into a post-apocalyptic world. 57 – Criminal backlist (Image). If you want to catch up on your Criminal reading before the new series, here is your chance. 96 – Alien3 3 (Dark Horse). Final issue of the William Gibson script for a potential 3rd Alien movie. 178 – Peter Cannon Thunderbolt (Dynamite). 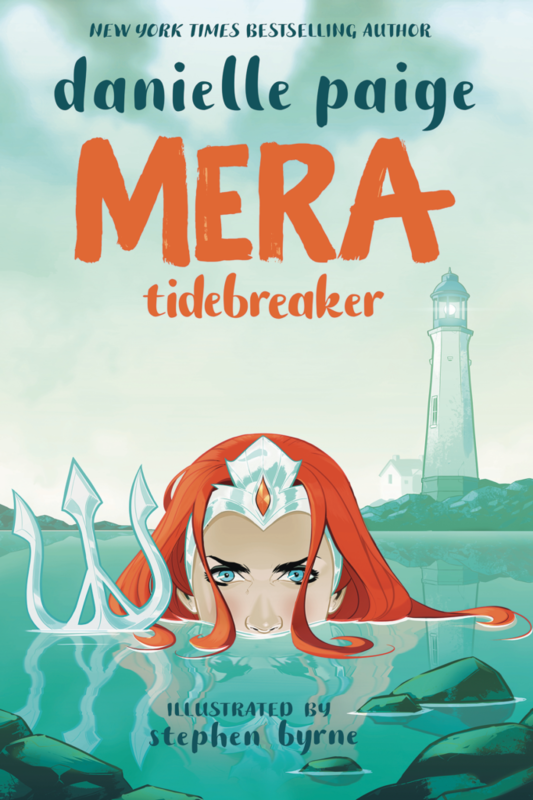 Kieron Gillen helps to relaunch this character that has been around for many years. 184 – Turok 1 (Dynamite). 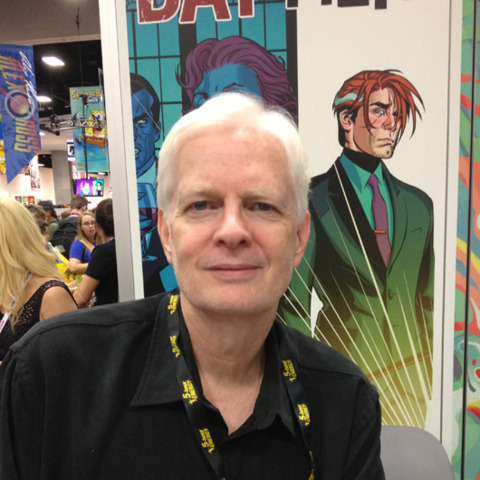 A new publisher for the title with Ron Marz helming the writing. I think it is odd they mention Green Lantern and Silver Surfer as writing credits and not Witchblade. 208 – Buffy the Vampire Slayer 1 (Boom). The venerable Buffy series reboots. 210 – Firefly 3 (Boom). 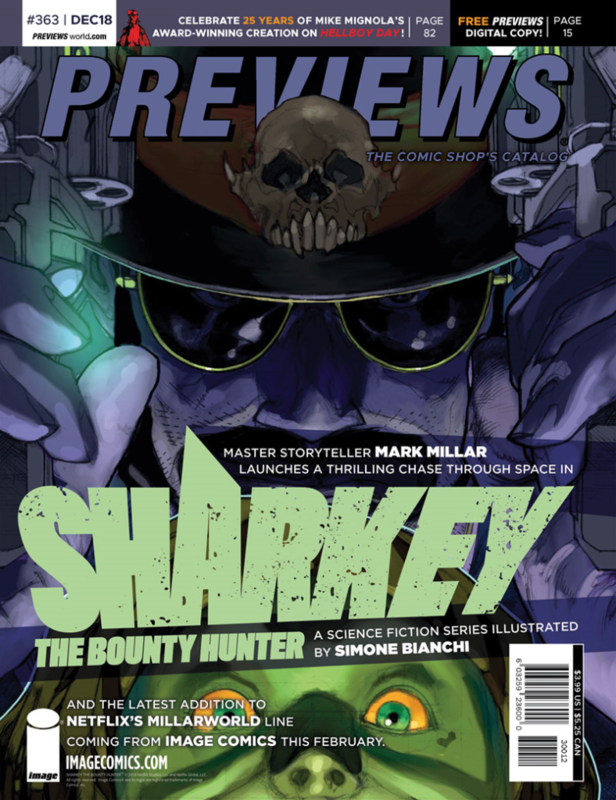 Third issue of the latest Firefly story. 306 – Star Trek (Golden Books). Two new Golden Books, one for Kirk and another for Spock. 355 – The Life of Frederick Douglass (Ten Speed Press). Not sure if you should get your history facts from Preview, but according to this, Frederick Douglass was the most photographed individual of the 19th century. 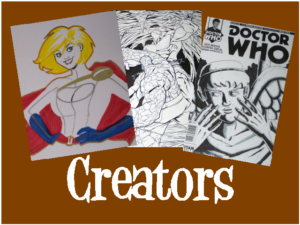 363 – Doctor Who The 13th Doctor 4 (Titan). Wraps up the first story arc for the first female Doctor. 366 – Marie Severin: The Mirthful Mistress of Comics (Twomorrows). If you would like to know more about the recently passed Marie Severin, here is your chance. 54 – Marvel Retro Figs with packaging like the 90s Toy Biz line for Black Panther, Ant-Man, Hawkeye, Vision, Wasp, and Scarlet Spider. Looking at you Joshua Hines. They are pricey at $20 a pop. 111 – Marvel Comics Toon Tumblers for Dr. Strange, Black Panther, and Venom vs. Carnage. 130 – Challenge of the Superfriends Card Game from Cryptozoic. Does not appear to be compatible with the other DC Deck Building games, which is unfortunate. 131 – The Expanse RPG hardcover from Green Ronin Publishing. I am not currently participating in any RPGs, but I will pick this up just because it is part of the Expanse universe. I do wonder if it will be based on the books or the TV Series. 133 – Escape Room in a Box Game. Get the feel of going to an Escape Room for only $30. As always, I would love to hear additional recommendations for books I should be reading each month in the comments. If you post a recommendation here before we record the next podcast, I would be glad to pass it along. This review is not intended to be an episode by episode review or to be in anyway comprehensive. Like my review of Iron Fist: Season 2 available at https://steemit.com/comics/@burgcomics/review-of-iron-fist-season-two-spoilers, this review reflects my thoughts as I was watching the episodes. Daredevil (1998) #1 – #8 – Kevin Smith written relaunch of the Daredevil title. Daredevil has been the highlight of Netflix’s series of Marvel stories. It, along with the Punisher, are the top Netflix series. So, needless to say, I had high hopes going into this season. Fortunately, I was not disappointed. Wilson Fisk will return as the main villain for season 3. 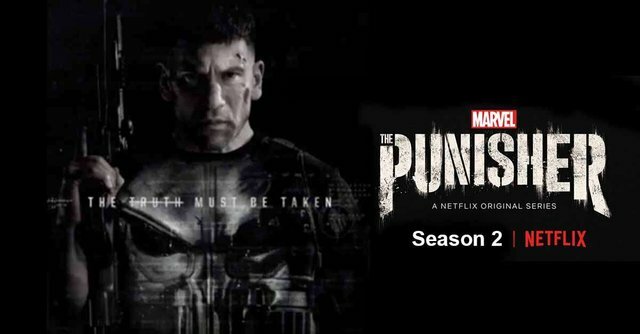 We will, unfortunately, get no additional Punisher story in this season. There will be some resolution to the Karen Page/Wesley “event” from season 1. Early in episode 1, we meet Sister Maggie (Joanne Whalley). I, as most Daredevil readers immediately wondered if this would end up being Matt Murdock’s Mother. Daredevil (Charlie Cox), is without his powers. The only question is, how long will it take for him to get them back. No one wants to watch a full season of Daredevil without his abilities. Neti Pot to the rescue. One set of disgustingly clogged sinus clear later, and Daredevil is nearly back up to full capabilities. 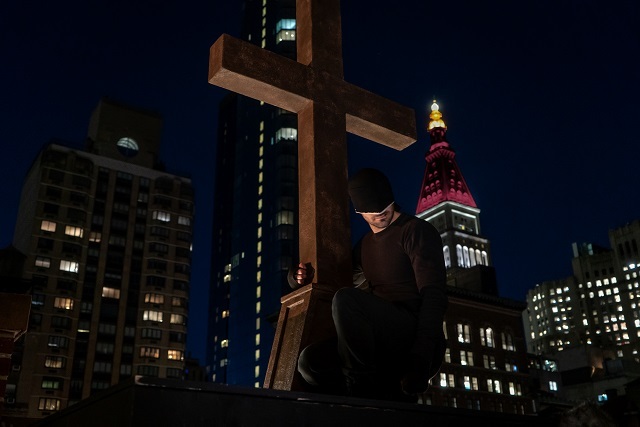 As Daredevil goes back to the streets, back in his original black costume from season 1, we get a terrific image of Daredevil on the roof of the church crouched alongside the cross. A real thrill for fans of the #comics. So, Daredevil hits the streets, and is able to break up a kidnapping (that will affect the story in a few episodes). However, after winning the fight, he gives up and waits for the kidnappers to beat him to death? Really. Why bother going back out and testing your skills, if you don’t intend to use them long term. We meet FBI Agent Nadem (Jay Ali). We learn that Agent Nadeem has some financial problems, which will obviously come back up (But not in the way I expected.) Episode 1 ends with Wilson Fisk (Vincent D’Onofrio) offering to make a deal for Vanessa’s (Ayelet Zurer) safe passage and freedom from charges. Not a lot to say about the 2nd episode. 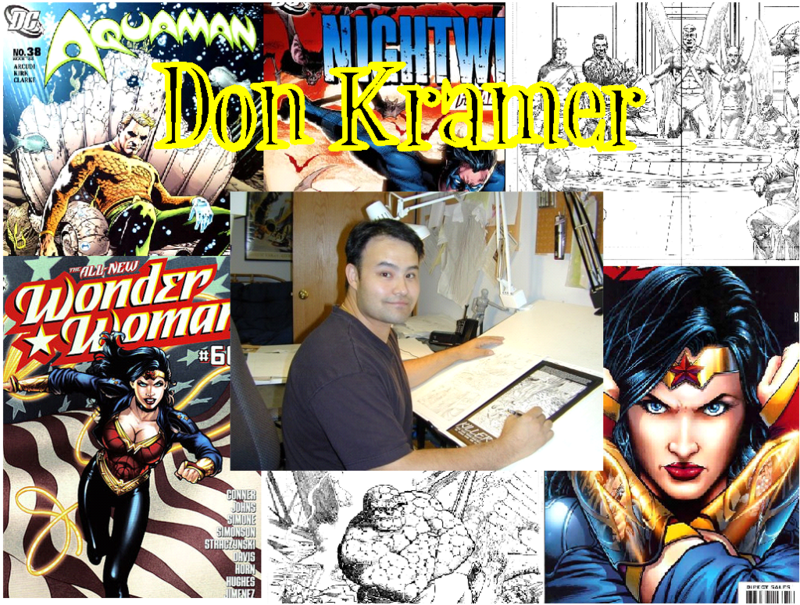 We get a few additional pieces of Karen Page’s (Debra Ann Woll) history concerning her brother. Daredevil is able to track down the kidnappers through the scent of their special all-organic dry-cleaning process. Glad to know that Hell’s Kitchen’s criminal element is concerned about the environment. Wilson Fisk’s caravan is ambushed in route to his new house arrest location. Fisk is saved by a particularly talented FBI agent Benjamin Poindexter (Wilson Bethel). Ricochet bullet shots and some particularly good brutality help to quickly define this character. An excellent first scene for Bullseye. We do learn ab it more about Sister Maggie’s background, and it is still possible for her to be Matt’s mother. We get a nice throwback to the #comics as we see Wilson Fisk in the all-white suit. They should have put a pair of purple pants and an ascot in his closet, but that would probably been too over the top. We are further introduced to Bullseye. At this point, I am hoping we get to see him in costume. I also wish that these writers had been given first crack at Typhoid Mary instead of the writers for Iron Fist. There are several mentions of Ben Urich in the first few episodes. If I could change one thing about season 1 of Daredevil, Ben Urich would still be hanging around in season 3. We learn that Bullseye is a bit of a stalker. I liked that the writers did not try to overly “humanize” this character. Bullseye is a psycho-path and should be portrayed as one. His infatuation, Julie (Holly Cinnamon) will have a major impact on the story later. Matt finally reveals to Foggy Nelson (Elden Henson) that he is alive. Additionally, Fisk also learns that Daredevil is still hanging around as well. Foggy’s love interest, Marci Stahl (Amy Rutberg) is still around. I was not a big fan of the character initially, but she has grown on me quite a bit. Matt, attempting to access the prison, uses the “I lost my ID” routine for the second time in the first 4 episodes. After some serious trouble in the prison, Matt manages to get out, and the cabbie he paid to stick around did, even though there was a prison riot going on. Each additional scene with Bullseye is showing him to be the psychopath we expect out of the character. Matt wakes up in the back of the cab, just in time to realize the driver has been replaced and for the cab to be driven into the river. Really, it would not have been easier to just shoot the apparently unconscious guy in the back seat? We get more and more odd behavior, psychosis, and creepiness out of Bullseye. I really liked in the flashback scenes that the team logo was Bullseye’s costume. I guess this is the episode where you could say Bullseye breaks, though you could argue he was broken the whole time. Karen’s murder (I still think self-defense) of Wesley begins to have an impact on season 3. Fisk is now back on top through his manipulation of the FBI. Bullseye has a near suicidal meltdown. I never really considered Bullseye to be suicidal, I would not think most psychopaths are, but Fisk is again able to use this to his advantage. We finally get the first fight between Daredevil and Bullseye at the Bulletin’s offices. I was not expecting the copied Daredevil suit. However, this fight between Daredevil and Bullseye was INCREDIBLE. I felt like we saw both characters at their best. I was completely blown away. The fight made Bullseye’s skill set very evident. Bullseye comes out on top, as he kills a key witness. Here we are in episode 7, and still no Vanessa. At this point I am starting to wonder if she will be appearing or not. I also was wondering if we will see Melvin Potter in the Gladiator costume. Matt and Melvin have a bit of a fight, and we do get see Melvin with the saw blades again, so that was a nice throwback to the #comics. We learn that Ellison (Geoffrey Cantor) was not killed in Bullseye’s attack on the Bulletin, for which I was glad. Karen, now hunted by Fisk contacts her father, wanting to come home. Her father seems to be a real piece of work. Really cold, Fisk killing Julie, Bullseye’s last hold on normalcy. I do love that they repeatedly show Bullseye using random objects as weapons. Though I would have like to see him use a playing card to slice someone’s throat. And, it is finally confirmed that Sister Maggie is in fact Matt’s mother. Agent Nadeem decides to come clean with his involvement with Fisk. They meet at Agent Hattley’s (Kate Udall) home that is conveniently undergoing remodeling and has lots of plastic strewn about. Agent Hattley kills the other agent, and frames Nadeem. So, the financial problems that Nadeem was having were not so that Nadeem would turn, but to make him want the promotion all the more and to get him to play ball with Fisk when the time came. Periodically, we see Matt speaking to other’s like Fisk and his Father in his mind. I kept expecting that the camera might pan away and back to see Mephisto briefly as the cause of this, but it did not happen. That is probably for the best for the non-comic reading viewer. We finally get the full story on Karen Page. I would like to point out some thoughts on Karen Page by another user on steemit @arseniclullaby. You can read what he thinks of Karen on the Arsenic Lullaby web site at https://arseniclullabies.com/wordpress/?p=15986. We basically learn that Karen was a big party girl and how her brother died. At this point, I am thinking they might kill her off ala the Kevin Smith Daredevil storyline. But, as Bullseye attacks the church and flings a stick at Karen, Father Lantom (Peter McRobbie) steps in the way to save Karen. In hindsight, this was pretty obvious how this would turn out, to give the father the chance to redeem himself from hiding Sister Maggie’s secret from Matt. 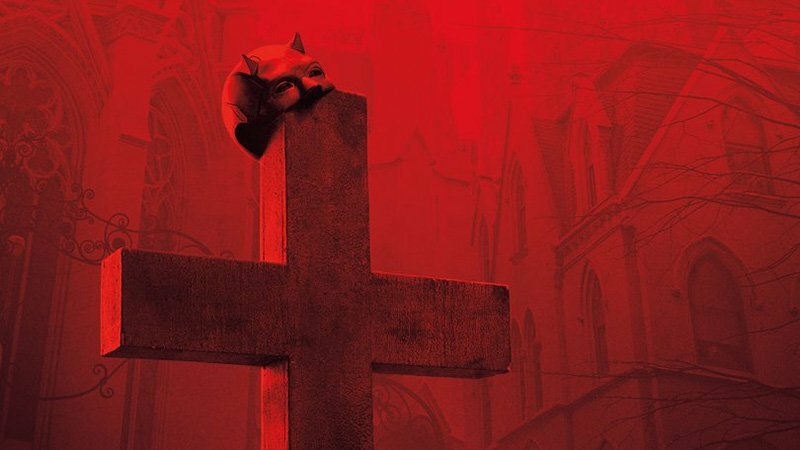 Father Lantom will probably be the character I will miss most moving forward with Daredevil. At this point, I assume Sister Maggie will take over this role, assuming she survives. Still hoping to see Bullseye’s in costume, but I am also hoping they keep him alive for a future season. With everything going on, Fisk gets a quick release from his incarceration. 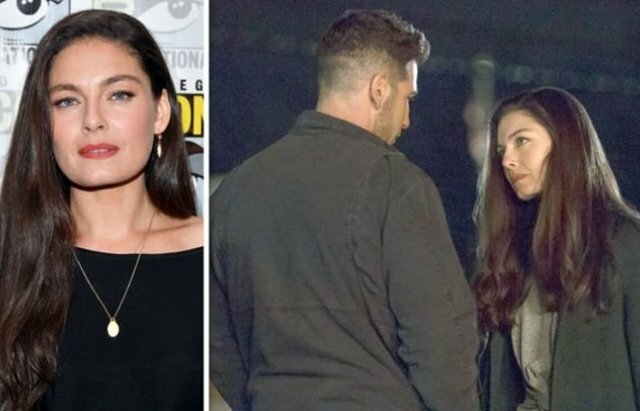 Bullseye is able to tie Sister Maggie to Daredevil, and I start thinking she will not make it out of season 3.
finally, Vanessa and Fisk are reunited. I think Ayelet Zurer is terrific as Vanessa. Vincent D’Onofrio is also incredible as Wilson Fisk. However, I have some concerns about D’Onofrio’s health, or at least his physical mobility. His fight scenes often take on an odd style, which I attributed to the writers emphasizing his bulk as part of his prowess. However, watching the scenes where he is walking down stairs, it looks to me like he is struggling. For his reason, I feel like they are setting up Vanessa to take over Fisk’s empire in a future season. And based on her performance, I think that would be just fine. And in this episode, Bullseye “retrieves” the painting from the little old lady. A blood splatter on the frame indicates he did so with malice. Matt uses Fisk’s murder of Julie to pit bullseye against Kingpin. But, when the moment comes, and Bullseye is ready to kill Fisk, Matt stops Bullseye. Kingpin is able to put an end to Bullseye, seemingly breaking his back in the process. I kept expecting Bullseye to get up and kill Vanessa, but it did not happen. Fisk turns himself in after Matt threatens to go after Vanessa if Fisk retaliates against Foggy or Karen. I was hoping we would get a scene with Matt and Bullseye in the hospital playing Russian roulette, but instead we get a scene of Bullseye on an operating table getting possibly adamantium implants in his spine ala Daredevil issues 196 to 200. If you would like to hear more of my thoughts on Daredevil season 3, add Campus Comics Cast #campuscomicscast to your favorite podcast app. We will discussing this season in an upcoming episode. 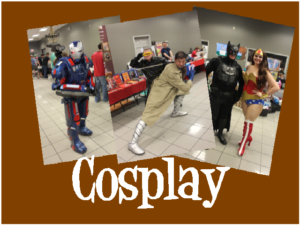 Harrisburg, IL 62946The 9th annual Burg Comics Con will take place on Saturday August 18, 2018 from 10 AM to 5 PM at the Bonan Business Center in Harrisburg, IL. Please start passing the word along to your friends and encourage them to become a fan of our page on Facebook to keep up with the latest news. 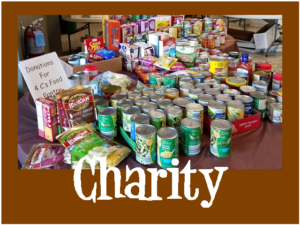 Admission to the convention is FREE, but we are requesting a charitable donation to the Saline County 4Cs. If you would like to further support Burg Comics and/or get early admission into the convention, consider purchasing a VIP Package. Coupon to vendor Castle Perilous for a free die, Magic: The Gathering Deck, and comic. I hope to add additional items to the VIP package before the convention as well. 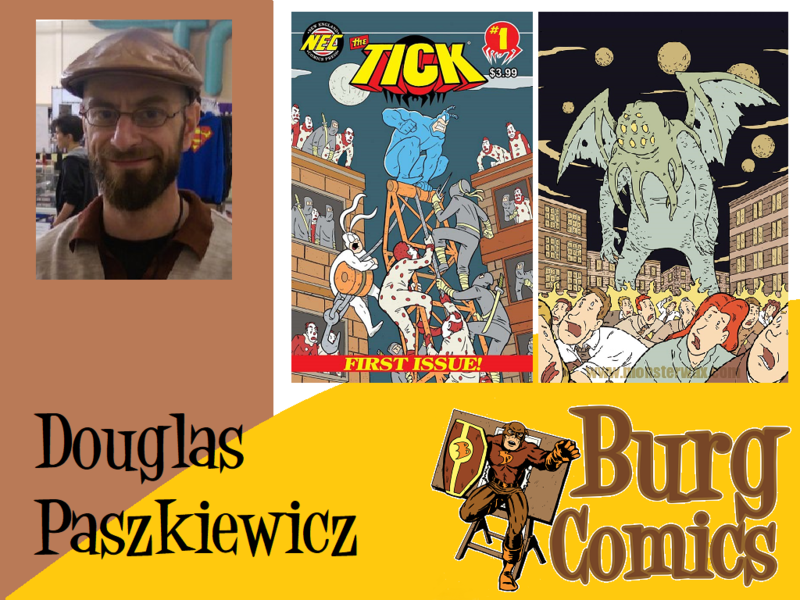 If you are interested, message Burg Comics on Facebook or email admin@burgcomics.com, first come, first serve.